Property is in the middle of Georgetown’s growth corridor with well established banks, food services, HEB and other newer retail office uses. 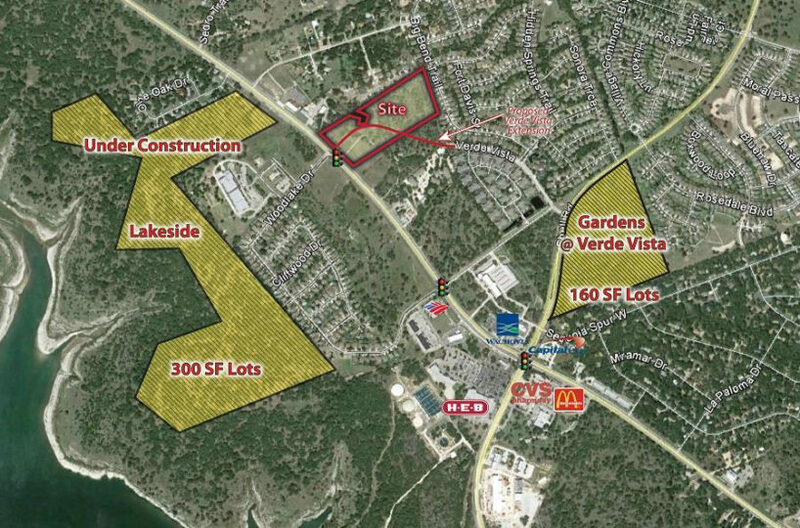 Development of this property will require a pollution abatement plan permit issued by TCEQ, as this site sits on top of the Edwards Aquifer Recharge Zone. Additionally, public records indicate the existence of suitable habitat for endangered karst species. The owner has not conducted an environmental study of the property. Located on the north side of Williams Drive on the future corner of the proposed Verde Vista extension. The future development of this property will require the future construction of Verde Vista Drive across the property by the developer. See Broker for details. UTILITIES: Water – City of Georgetown. Sewer needs to be extended 9 acres. Electric – Pedernales Electric. TAXES: Currently, the property is Ag Exempt. At the time of the sale of the property, roll back taxes may be assessed against the property. ZONING: Currently Agriculture Exempt. Future land use will be mixed use Residential and Moderate Density Residential.